Bring healing and hope to all who grieve, suffer pain, or have been affected by the earthquake and tsunami in Japan. We remember those who have died and pray for those who mourn. May your compassion calm our troubled hearts and shelter our anxious souls. We pray with humility for our troubled and struggling brothers and sisters on earth. Through the generosity of the privileged, we pray that the destitute might glimpse hope, warmth and life again. May you be with us, comfort us and soothe us, Amen. "On March 11th, the great earthquake took place. As it took place, I was at the university. My bookshelves were falling, lights were swaying wildly. Turning on a TV, I saw a great tsunami about to swallow up some people. The city's public transport at Tokyo was paralyzed, so we opened up the university campus of Rikkyo for the public. I spent the night at the university together with about 5,000 people. The following morning, it was becoming clear that we were faced with a situation that far outstripped any words. One woman's testimony still rings in my ears. As she was making her way to high ground, running from the great tsunami, she looked back; a number of elementary school students were crying out, running desperately. But when she looked back again, the children had vanished. One boy was going among the evacuation centers with a piece of cardboard on which he had written the name of his parent and his brothers and sisters. As we face this reality, all that is left to us is a dazed silence. And then, in addition to the earthquake and the tsunami, we were gripped by an additional fear: fear due to the explosion of the reactors at the Fukushima Daiichi nuclear power plant, as they went out of control and spread abroad concentrated radioactivity. The Japanese scholars would tell us that these levels were "at levels that would not affect the human body", but there is no radioactivity which does not have influence in a human body. We should remember those people who have offered up themselves in the effort to wrest control of the situation, even as fierce radioactive rays rain down on them. One can only imagine what their families are thinking as they follow the events. One after another, messages of encouragement have been sent by brothers and sisters around the world who are linked through the Anglican Communion and other international Christian networks. 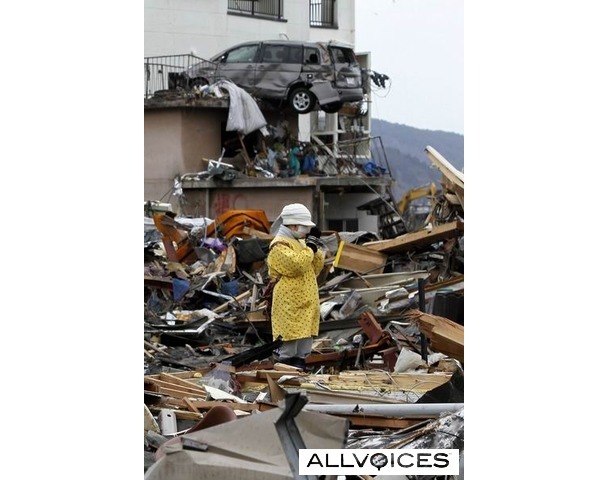 The parishioners and clergies of the dioceses of Tohoku and Kita Kanto, along with all those who suffered this disaster, are still in extreme hardship and distress. But they are not the only ones; all of us sense a terror deeper than words. However, we are not alone. Our sisters and brothers throughout the world sense this pain together with us, and hold on to our hand and will not let us go, praying with a prayer that is a veritable shout. In this very moment, our faith is being questioned. Amid the rubble of the devastated areas, there was a young boy who was gritting his teeth as he walked, holding a large container full of water in both hands. He was moving through the hopelessness of that rubble, yet moving forward with hope, the hope of life itself. With him, with all those who have been afflicted in this disaster, with each and every one of us, the resurrected Lord is walking as he did on that road to Emmaus, bringing warmth to our hearts. This year's Easter will be a very special and precious time when we take a new step toward hope, like a small shoot growing up amidst the rubble. Amen. " Erika what a very kind tribute! 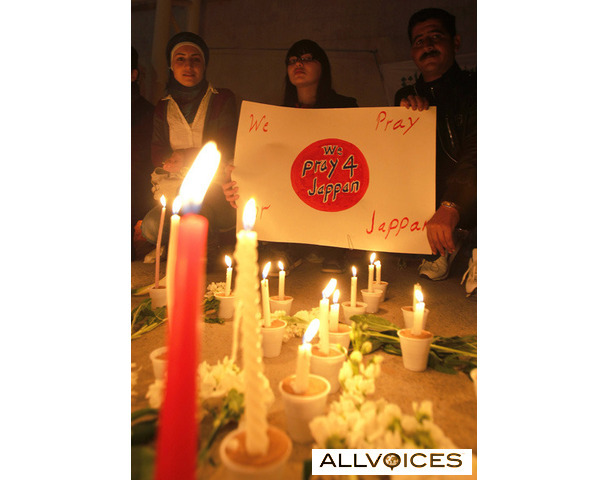 Japan can use all the prayers we are able to put forth and more. As the media hype dies down and focuses on other stories (which is a shame because Japan's plight has not lessened one bit), we need reminders to keep the prayers going. my heart and thoughts are with them all. a wonderful prayer - sending it out for them! This is such a sad tragedy and it is still ongoing for them. It's such a tragedy what has happened there, many prayers being sent to them. Thank you for posting this. Send more prayers! Erika, what a moving post. Those words really sum up the human cost of the devastation. Reading them made me cry. I was reading about the engineers working on the nuclear plant recently, trying to keep things under control but basically giving themselves a death sentence in the process. Sometimes it stuns me how noble people can be; true heroes. You have written a very special tribute. Hopefully Japan will stay in all of our prayers fro the years to come. Once again Erika, a beautiful and moving prayer for the people of Japan. The enormity of this disaster is truly overwhelming and yes, prayers and help will undoubtedly be needed for a long, long time.